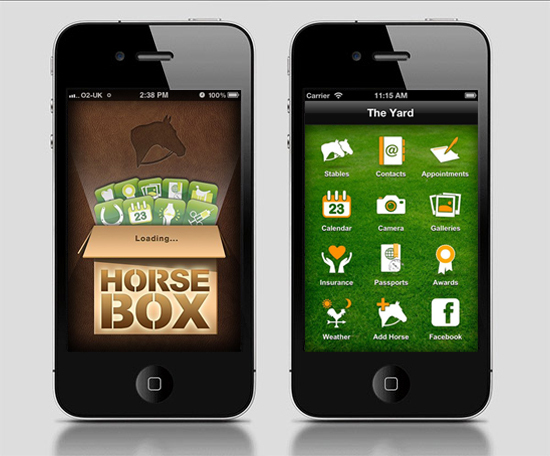 The official page for the most feature-packed horse organisation app. If you own horses or stable you need Horse Box, it’s the first all-inclusive ‘your horse’ reference point for one horse or a whole stable. Horse Box is your quickest point of reference no matter where you are, you’re only a tap away from the information you need, horse insurance details, horse passport, essential contacts, appointments, photos, weather and much, much more. Like all equestrians we do everything to keep our horses from harms way. If a horse becomes sick or has an accident we know how important it is to have that horses details to hand allowing you to respond as quickly and effectively as possible to all and every eventuality. Even if you keep all your horse documents and appointments neatly at home you need Horse Box. When you have to act fast in the field, all the essential horse details are now in the palm of your hand. Can’t remember the vets or farriers number? Horse Boxs’ unique contacts system has all your essential services easy to find at the touch of a button and they’re even linked to individual horses for easy reference. How many times have you wished you could capture that memorable horse moment, view and file those images knowing you can find them easily on your phone? Worry no more, with the Horse Box Gallery and Camera features this has now become easy. We adore horses as much as you do… Horse Box has been designed with your needs in mind; it is feature rich and most importantly, there when you need it, download Horse Box now! QUICK CONTACTS – help is at hand with Vets, Dentists, Physio, Farriers, Chiropractors and Saddlers contact info all easily identifiable at a tap of an icon. 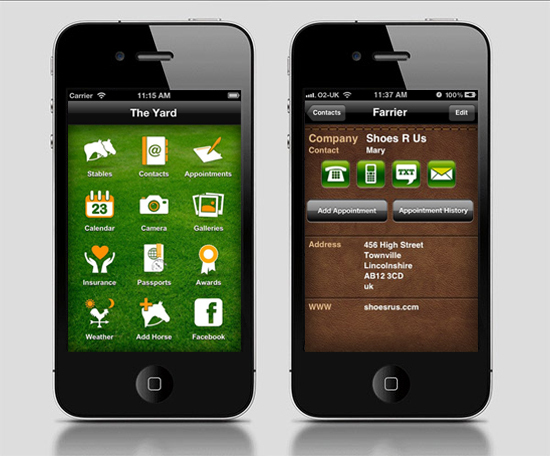 Contact them direct from the app by email, text or phone instantly. NEVER MISS A DATE OR SHOW – get categorised appointment reminders synced to your iPhone and across all your Macs, even when Horse Box is not running. MANAGE BY HORSE OR STABLE – quick reference all your Horse(s) Appointments, Contacts and Galleries using the Stable or individually by selecting a Horse. 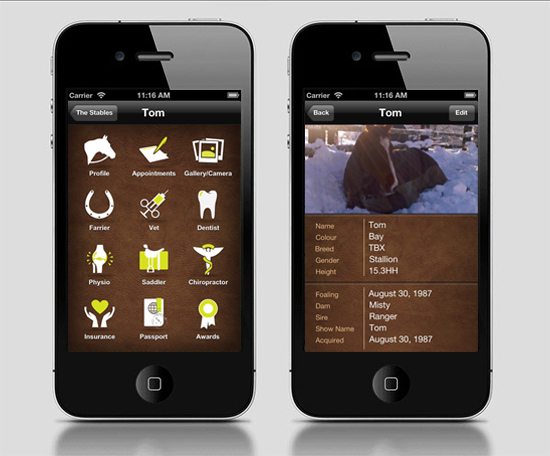 “SNAP” SPECIAL MOMENTS – photograph, keep and manage all your memorable horse photos within your own Horse Gallery and Stable Gallery or share with your friends. NEVER LOSE INSURANCE DETAILS – with the ability to save copies of your insurance documentation and information you will always be ready in the case of an emergency or problem. FAST PASSPORT – a quick reference for when you need to know unique attributes and all of the information you just couldn’t remember about your horse. NEVER FORGET – add your Awards so you never lose the ‘when’ and ‘where’ of that winning moment. DON’T GET CAUGHT OUT IN THE RAIN – you and your horse can stay dry with our 5 day weather forecast, based on your geo-location, making sure those rugs are on with plenty of time. GO SOCIAL – keep fellow riders up to date with what you’re up to on Facebook. Never loose that information again! Horse Box is the best way to keep essential details with you at all times… Its just like keeping your horses or stable in your pocket.